Microsoft has significantly toned down the Aero Glass interface introduced in Windows Vista. 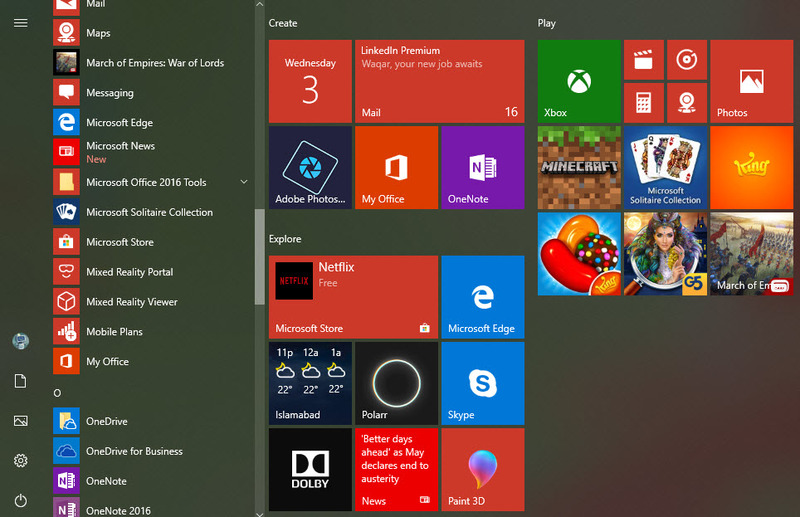 Windows 10 still use the same Aero Glass transparency effects in the Start Menu, Desktop Taskbar, and Action Center. Most of the users prefer the transparency effect in Windows 10 as well because it provides an interesting look that meshes well with user’s desktop wallpaper image. if you prefer greater contrast then transparency can be disabled for the Start Menu and Taskbar in Windows 10 Settings. To disable transparency in Windows 10 you can follow either set of steps mentioned below. 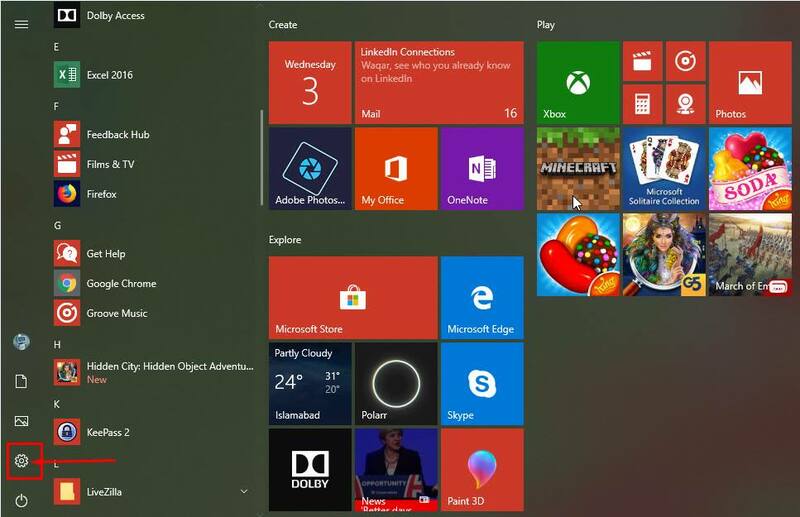 Clicking on Start Menu and then clicking the Settings icon. Click on the “Personalization” icon within the Settings window. Select the option of “Colors” from the left sidebar of the new window open in front of you. Scroll down to “More options” section and Toggle the button under “Transparency effects” to off. Close this personalization settings window and after that reboot your PC to implement the changes. Click on “Ease of Access” icon from the Setting windows that open in front of you. Select the “Display” option from the left-hand side menu bar. 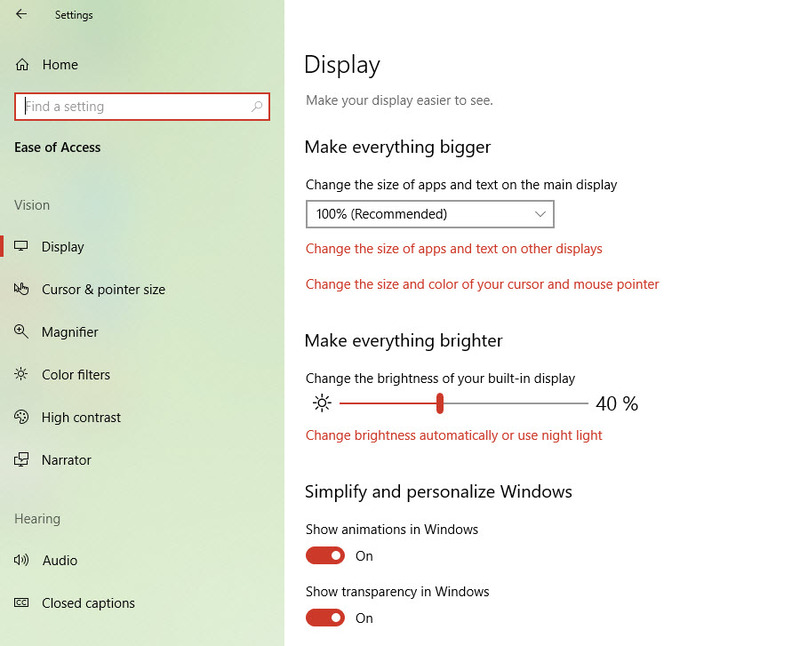 Under the “Simplify and personalize Windows” try to find the option of “Show transparency in Windows“. Disable the toggle for the above settings in order to disable transparency effects and If you want to enable transparency in windows for you then enable the toggle. Close the window and then reboot your device to implement the changes.